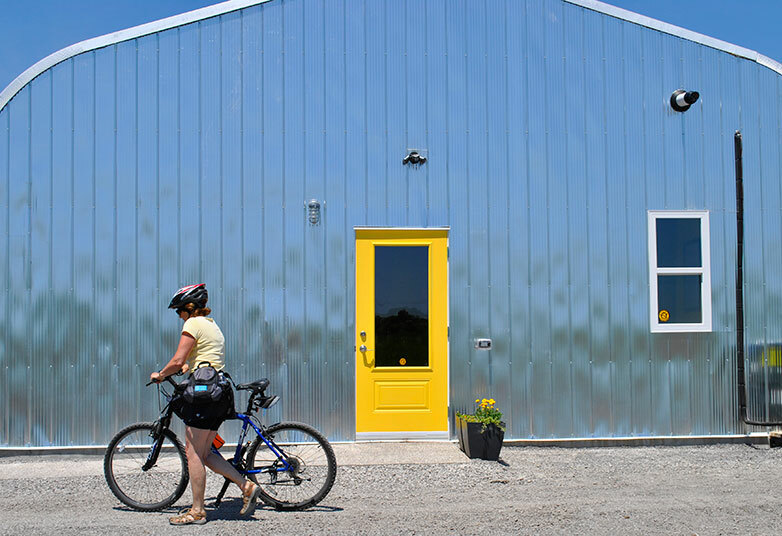 This past weekend saw another winery throw open its doors in Prince Edward County. 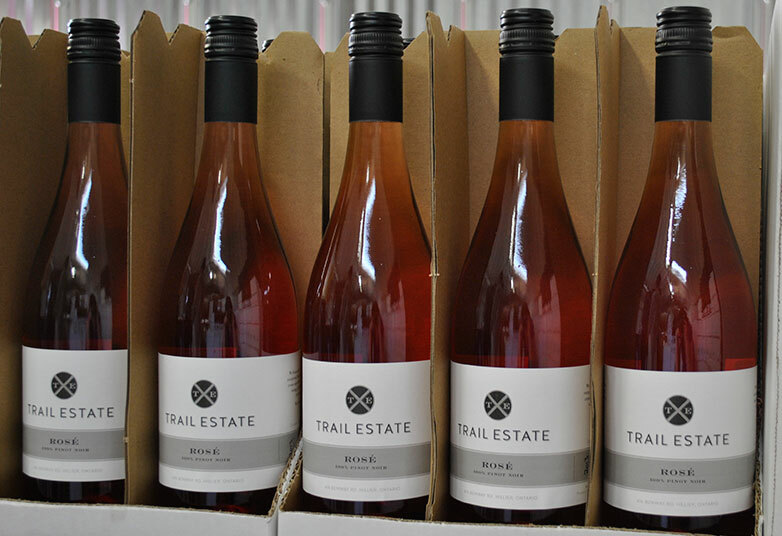 Trail Estate Winery is a new family-run winery located on Benway Road in Hillier, between Closson Rd. And Danforth Rd. The winery is housed in a shiny silver Quonset building, with a small tasting bar set up at the front, and the production area at the back. A cheerful bright yellow door welcomes you. 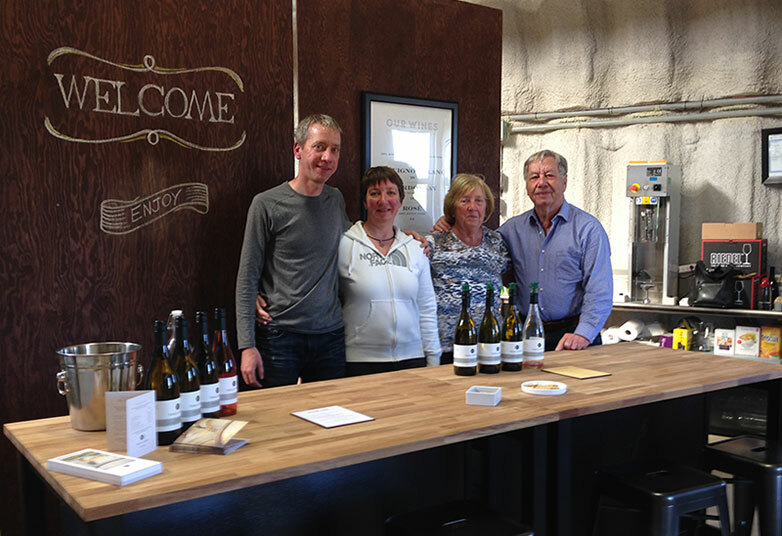 The Sproll family – parents Anton and Hildegard, sister Sylvia and brother Alex – bought the land 3 years ago with 2 acres of Baco Noir already planted, and have since rounded out the vineyard with Pinot Noir and Chardonnay. Was owning a winery a long-time dream, something that they’d been researching and planning for a while? Alex and Sylvia laugh. “Everything we do is spur-of-the-moment” says Alex. Originally though, the plan was just to grow grapes. “If you want to have fun, make some wine” was the advice from one of the neighbouring winemakers, says Alex. And so they embarked on establishing the winery. On Saturday, they officially opened to the public for the first time. The air was filled with nervous excitement as the family welcomed their first customers, a couple celebrating their 17th anniversary. Friends stopped by bearing gifts, and jumped in to lend a hand when a large bike tour arrived and the thirsty cyclists lined up for tastings at the bar, barely an hour into their first day in business. Off to a good start! 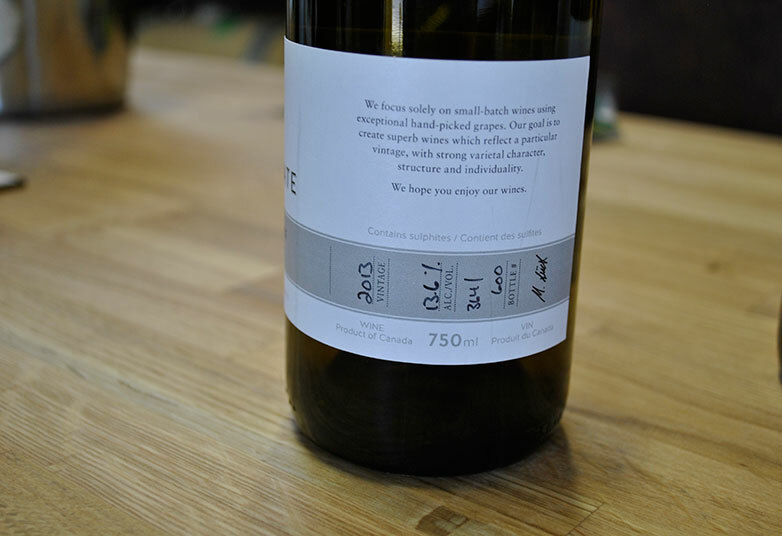 Their focus is on small batch wines, so small that every bottle is hand labelled and numbered. What a personal touch. While waiting for the vines on their own property to mature, they’ve sourced grapes from Niagara to produce their current lineup of three white wines and a rose. Their blend of 90% Riesling, 10% Gewurztraminer is bright & crisp, with plenty of citrus, apple and white peach. A refreshing wine for drinking on the patio. They also have a lovely, delicate Sauvignon Blanc and a zingy unoaked Chardonnay with tropical fruit notes like kiwi and green mango. The Rose is made from Pinot Noir grapes and is a dry rose with hints of strawberry jam, rhubarb and honey. 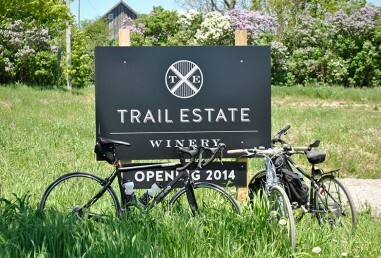 Trail Estate will be open Saturdays & Sundays throughout the summer plus holiday Mondays and Canada Day.